We will be closed from Dec until Spring; but come and visit us again when the weather warms up! 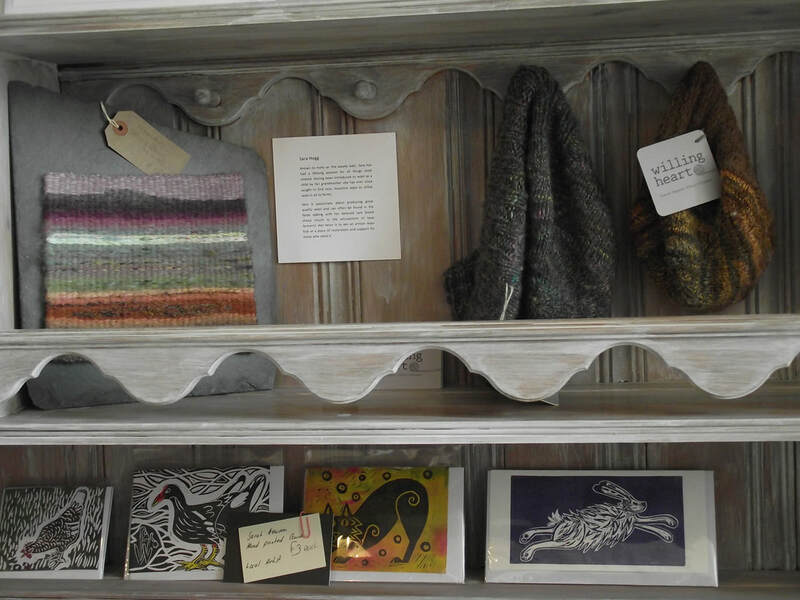 Our aim is to run the shop as a not for profit community shop for the village, and a venue showcasing the best of Manx, linked with ethical, caring and creative artisan goods, for the discerning visitor. Look out for the sign on the road! Our village shop is now up and running.... thanks to the volunteers who are giving their time and effort to support this exciting new venture! 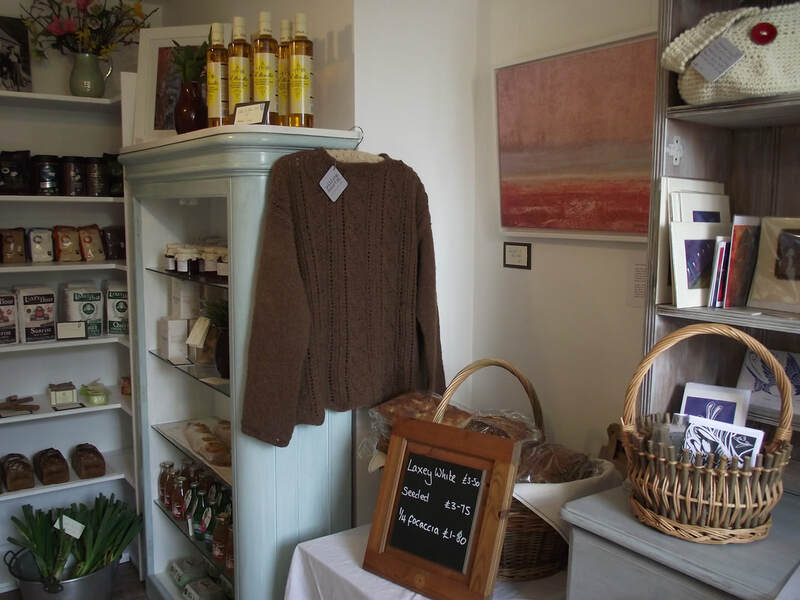 The shop is available to locals at all times and to the general public Tuesday to Friday from 2 pm till 4:30 pm. 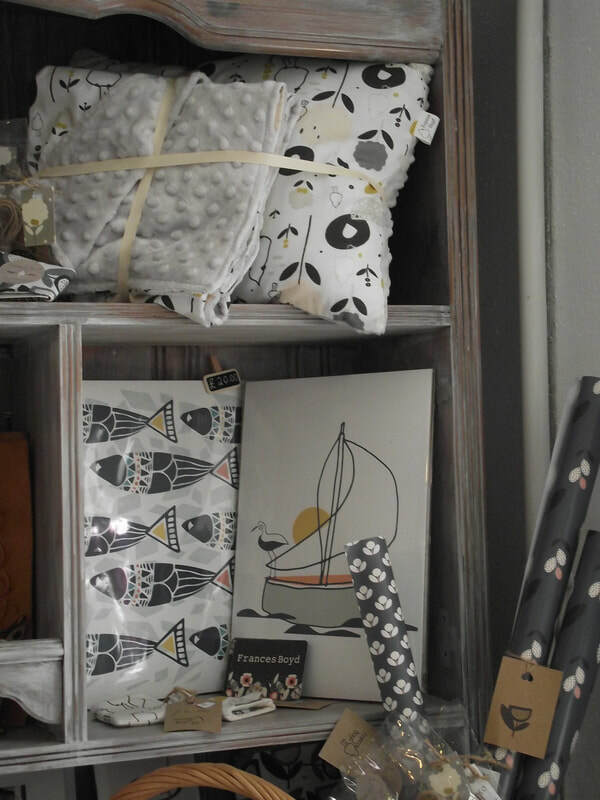 Most products are produced locally, helping to reduce our carbon foot print. Anything we are unable to source locally we try to ensure has been fairly traded and has the fair trade logo. We are also trying, where possible, to think of sustainability ... which is why we’ve introduced a refill system for cleaning products. 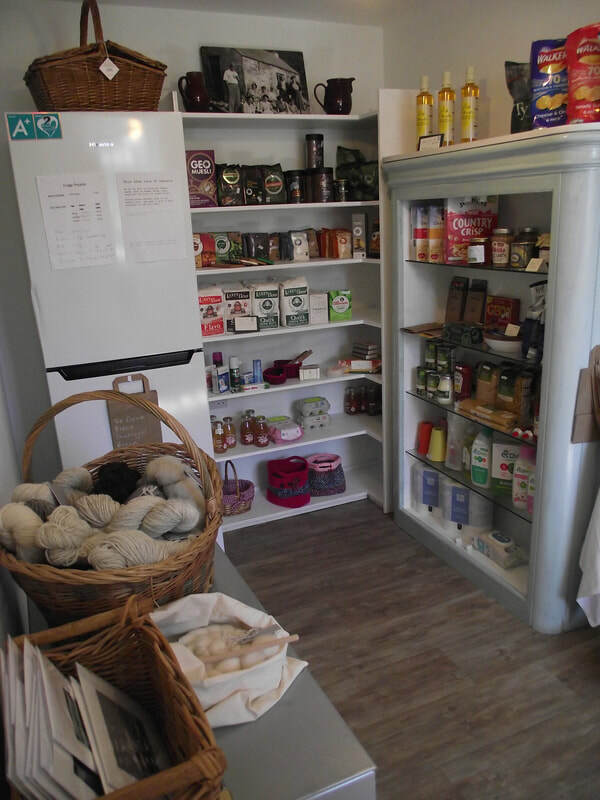 The shop now stocks both essential food such as Manx milk, cheese, butter and bread. We also stock award winning sausage, bacon and eggs from Close Leece Farm, who specialise in rare breeds; the meat and eggs have a great flavour! And .... we have Davidsons ice cream available in the freezer! Also Noah’s bake house bread is frozen on the day it’s baked, and available as a half or full loaf. We’re also selling Rapeseed oil produced on Island, using the cold pressed method which retains the goodness and gives a great flavour. 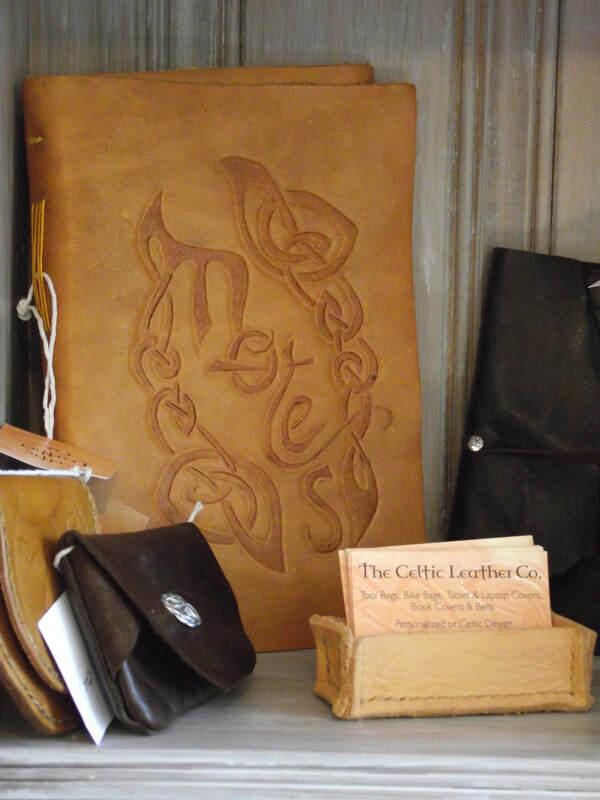 On the craft side, we’re proud to be selling locally produced cards, bags, leather goods and art all from local artisans. 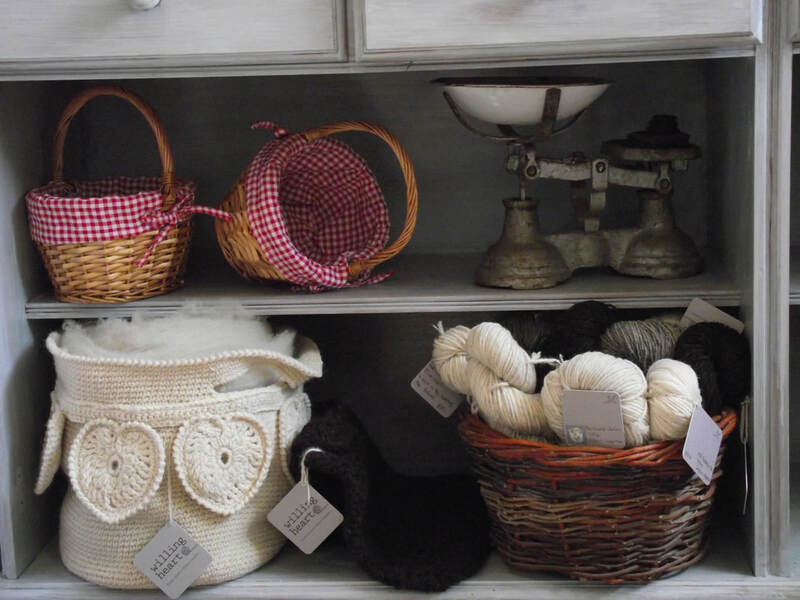 From practical items such as shopping bags and dish cloths, to hand knitted hats, scarves and jumpers! Bees wax wraps have been very popular as an alternative to cling film and are available in various sizes. They really do keep food fresh and reduce plastic waste! Our cleaning products are also helping to cut down the plastic we use, it’s dispensed into your own recycled bottle in the shop. Just bring an empty bottle, fill it up and pay by the amount dispensed. We’ve had a few teething problems, like misjudging the amount of fresh products needed each week and must apologise when stocks have run out. Hopefully in due course we’ll get a system in place where we don’t run out but can also ensure we don’t have waste . We welcome ideas and support from the community, if you want to be involved or have any suggestions please get in touch. Please remember, before jumping into your car for a loaf or a pint of milk, that the shop’s here, it helps save on your fuel bills too! 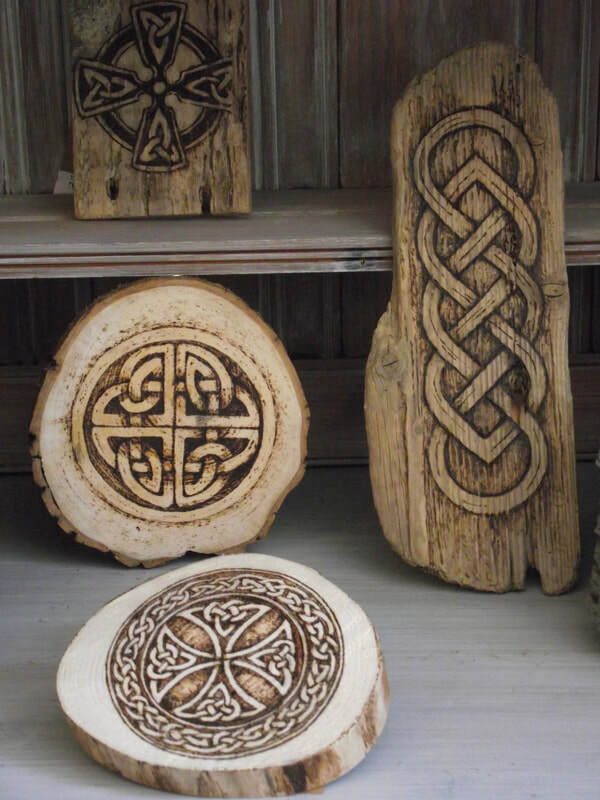 All wood used on the fires in the Hub and Schoolrooms is kindly donated by the woodland scheme; so all proceeds from sales of logs goes to support their work!